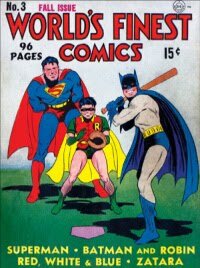 Well, this is award season and now that the Newbery's have been selected, I would like to announce the next most important awards (ahem! ahem!). They are the 2013 Bank Street Children's Book Committee Awards. Each year the committee awards three awards: one for outstanding fiction, one for outstanding poetry and one for outstanding non-fiction. Twenty-one brilliantly detailed accounts illuminates the defiance of tens of thousands of Jews across eleven Nazi-occupied countries during Word War II. 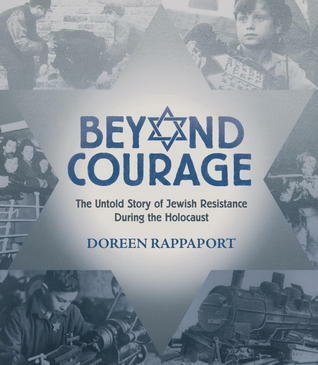 In answer to genocidal madness that was Hitler's Holocaust, the only response they could abide was resistance, and their greatest weapons were courage, ingenuity, the will to survive and the resolve to save others or to die trying. 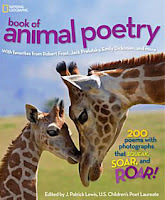 Beautiful photography compliments and extends the 200 enchanting poems about animals written by some of your favorite poets, such as Robert Frost, Emily Dickinson, Carl Sandburg, our old favorite Anonymous, even Vita Sackville West (who knew!) and of course, our Children's Poet Laureate and editor of this lovely volume, J Patrick Lewis. This post was originally published on my other blog Randomly Reading so if you receive this twice, my apologies. The only one of these that I have read is Wonder by RJ Palacio. We reviewed it on our blog and were so happy when we had the opportunity to interview RJ Palacio and find out more about the story behind the story. 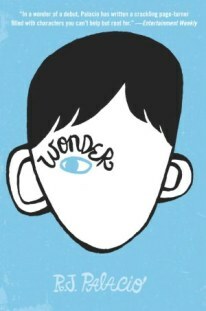 Wonder is an amazing book and one of my favorites! I will have to read the others! The National Geographic Book of Animal Poetry is such a gorgeous anthology; it is my "welcome to poetry" gift to children (along with an assortment of little stuffed animals) and I think it's a huge hit with parents, too (especially dads) because of the amazing photos. I'm proud to have poems in this book--the list of poets reads like a who's who of poetry (for children and adults, past and present)! I second my friend Janet's comments and offer congratulations to Pat Lewis, our current Children's Poet Laureate, on this astonishing volume. I'm delighted to have poems included. Major kudos to Bank Street Children's Book Committee for recognizing poetry!